The experts from the United States and the Czech Republic will conduct an observational flight over Russia. MOSCOW (Sputnik) — The experts from the United States and the Czech Republic will conduct an observational flight over Russia under the Treaty on Open Skies on November 7-11, head of Russia's National Nuclear Risk Reduction Center Sergei Ryzhkov said Monday. 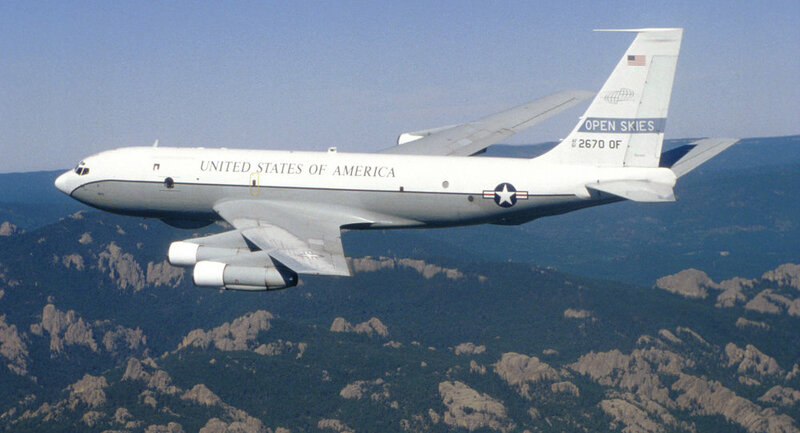 "On November 7-11, 2016 within the framework of implementation of the Open Skies Treaty, a joint mission of the United States and the Czech Republic will conduct an observational flight over the Russian Federation on a US OC-135B observation aircraft from the Khabarovsk airport," Ryzhkov said. The Russian specialists will be on board of the plane during the flight to monitor compliance with the agreed parameters of the flight and the use of agreed observation equipment, the official added.